The good news first. Across India, enrolment has gone up for all age groups. Now the bad news. The reading level in class VIII has declined. The Annual Status of Education Report (ASER), which is the largest annual household survey in rural India that focuses on the status of children’s schooling and basic learning, said that at the all India level, enrolment increased for all age groups between 2014 and 2016. Facilitated by Pratham, the report noted that enrolment for the age group 6-14 has been 96% or above since 2009. This proportion increased from 96.7% in 2014 to 96.9% in 2016. The enrolment for the age group 15-16 has also improved for both boys and girls, rising from 83.4% in 2014 to 84.7% in 2016. However, in some states, the fraction of out of school children (age 6-14) has increased between 2014 and 2016. These include Madhya Pradesh (from 3.4% to 4.4%), Chhattisgarh (from 2% to 2.8%), and Uttar Pradesh (from 4.9% to 5.3%). In some states the proportion of girls (age group 11-14) out of school remains greater than 8%. These states are Rajasthan (9.7%) and Uttar Pradesh (9.9%). Joining them in 2016 is Madhya Pradesh (8.5%). At the all India level, the proportion of children (age 6-14) enrolled in private schools is almost unchanged at 30.5% in 2016, as compared to 30.8% in 2014. The gender gap in private school enrolment has decreased slightly in both the 7-10 and the 11-14 age group. In 2014, among children age 11-14, the gap between boys' and girls' enrolment in private school was 7.6 percentage points. In 2016, this gap had decreased to 6.9 percentage points. Across the country, the proportion of children in Std III who are able to read at least Std I level text has gone up slightly, from 40.2% in 2014 to 42.5% in 2016. This proportion shows substantial increases among children in government schools in many states: Punjab, Uttarakhand, Haryana, Chhattisgarh, Gujarat, Maharashtra and Telangana. All these states show an improvement of more than 7 percentage points since 2014. Overall reading levels in Std V are almost the same year on year from 2011 to 2016. However, the proportion of children in Std V who could read a Std II level text improved by more than 5 percentage points from 2014 to 2016 in Gujarat, Maharashtra, Tripura, Nagaland and Rajasthan. This improvement is driven by gains in learning levels in government schools in these states. Nationally, reading levels in Std VIII show a slight decline since 2014 (from 74.7% to 73.1%). 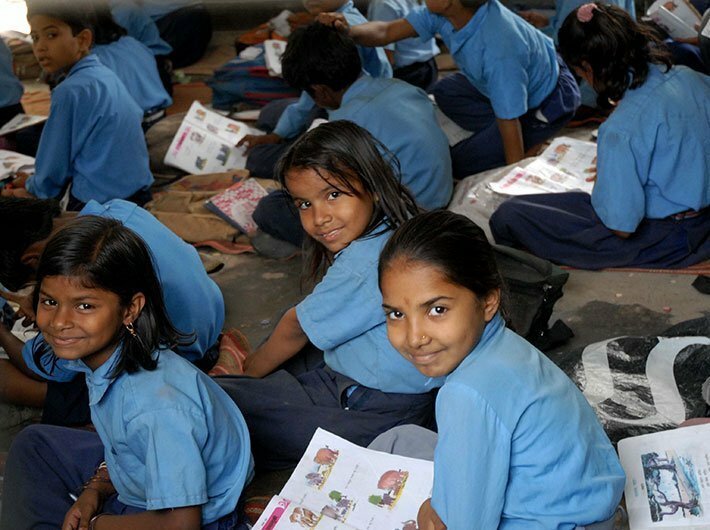 Then and now, three out of every four children enrolled in Std VIII can read at least Std II level (the highest level assessed in the ASER survey). The state-wise picture for Std VIII reading levels does not show much improvement except for government schools in Manipur, Rajasthan, Maharashtra and Tamil Nadu. The report also said that arithmetic shows improvement in government schools in primary grades, while the ability to read English is unchanged for lower primary grades. Children's attendance shows no major change from 2014 and for the most part, improvement in school facilities continues.